A love of classic entertainment prompted Emmy® Award winning producers René Reyes & Shane Rosamonda to establish the Los Angeles based POLLY O ENTERTAINMENT, a boutique multi-platform artist management and entertainment company with a diverse array of television, stage and music credits. Now entering their twentieth year of partnership and collaboration, the duo notes “it’s thrilling to experience a performance by a terrific entertainer, whether it be a classic television appearance, a rare recording or a live performance, it never fails to hit us in the same way. We’re compelled to shine a light on it, give it some context, and most importantly share it in the best way possible. That’s really what drives our motto to ‘make classics pop’ – a shared enthusiasm and commitment to celebrate the artistry of some truly unique entertainment personalities and properties, and to create new opportunities for their creative legacies to endure.” It’s that personal investment and hands-on approach that informs every aspect of what we do. Whether we’re shooting a documentary, conceiving a stage show, producing a CD or DVD, or designing an ad campaign – we are thrilled by the work of the artists that we have the honor of representing and collaborating with and are passionate about sharing their artistry in new ways with new audiences. Our mentors Ken and Mitzie Welch have been a constant source of inspiration in our approach to every project we've been lucky to be a part of from Las Vegas to London. They are the genius team who composed music and special material for seven seasons of The Carol Burnett Show as well as wrote, produced and/or directed material, live shows and TV specials for Barbra Streisand, Barry Manilow, Dolly Parton, Julie Andrews, Lucille Ball, Robin Williams, Bea Arthur, Cher, Ray Charles, Lorna Luft, Ben Vereen, Linda Lavin, Bob Hope, Suzanne Somers, Hal Linden and many more. Together they’ve earned fourteen Emmy ® Award nominations and eight wins. We had the incredibly great fortune of being recipents of their loyal friendship and they also generously shared their knowledge and experience with us for over 10 years. We learned a lot from them...by instruction yes, but even more so by observation. We’re often asked why the name Polly O.? Our company is named in honor of Shane’s maternal grandmother, Pauline ‘Polly’ Oldfield (1933-2008), who was an unwavering and loving supporter throughout his life. For us, her name brings to mind the happiness we hope every Polly O. project conveys. We couldn’t think of a better namesake. Rene and Shane won Emmy® Awards for producing and writing the acclaimed 2008 musical documentary Mitzi Gaynor: Razzle Dazzle! 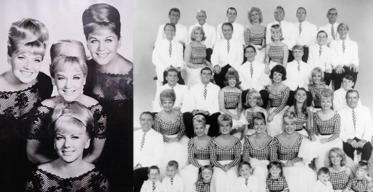 The Special Years and have since produced, directed, written and edited additional musical TV docs Christmas with The King Family Reunion Special and The Lennon Sisters: Same Song, Separate Voices. The have produced live stage shows for Mitzi Gaynor, The Four King Cousins, Jean-Paul Vignon and consulted on many others. We invite you to explore the pages of this site to learn more about the diverse and creative achievements of POLLY O ENTERTAINMENT. 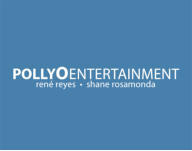 A love of classic entertainment prompted Emmy® Award winning producers René Reyes & Shane Rosamonda to establish the Los Angeles based POLLYO ENTERTAINMENT, a boutique multi-platform artist management and entertainment company with a diverse array of television, stage and music credits. Now entering their twentieth year of partnership and collaboration, the duo notes “it’s thrilling to experience a performance by a terrific entertainer, whether it be a classic television appearance, a rare recording or a live performance, it never fails to hit us in the same way. We’re compelled to shine a light on it, give it some context, and most importantly share it in the best way possible.” That’s really what drives our motto to ‘make classics pop’ – a shared enthusiasm and commitment to celebrate the artistry of some truly unique entertainment personalities and properties, and to create new opportunities for their creative legacies to endure. 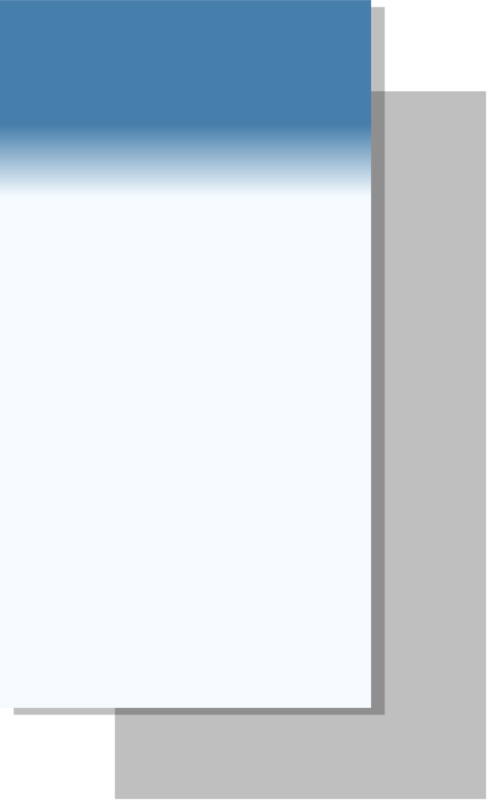 It’s that personal investment and hands-on approach that informs every aspect of what we do. Whether we’re shooting a documentary, conceiving a stage show, producing a CD or DVD, or designing an ad campaign – we are thrilled by the work of the artists that we have the honor of representing and collaborating with and are passionate about sharing their artistry in new ways with new audiences. Our mentors Ken and Mitzie Welch have been a constant source of inspiration in our approach to every project we've been lucky to be a part of from Las Vegas to London. They are the genius team who composed music and special material for seven seasons of The Carol Burnett Show as well as wrote, produced and/or directed material, live shows and TV specials for Barbra Streisand, Barry Manilow, Dolly Parton, Julie Andrews, Lucille Ball, Robin Williams, Bea Arthur, Cher, Ray Charles, Lorna Luft, Ben Vereen, Linda Lavin, Bob Hope, Suzanne Somers, Hal Linden and many more and together earned fourteen Emmy ® Award nominations and eight wins. We had the incredibly great fortune of being recipents of their loyal friendship and they also generously shared their knowledge and experience with us for over 10 years. We learned a lot from them...by instruction yes, but even more so by observation. We’re often asked why the name Polly O.? Our company is named in honor of Shane’s maternal grandmother, Pauline ‘Polly’ Oldfield (1933-2008), who was an unwavering and loving supporter throughout his life. For us, her name brings to mind the happiness we hope every Polly O. project conveys. We couldn’t think of a better namesake. Rene and Shane won Emmy® Awards for producing and writing the acclaimed 2008 musical documentary Mitzi Gaynor: Razzle Dazzle! 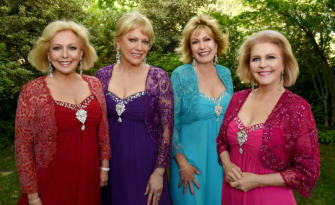 The Special Years and have since produced, directed, written and edited additional musical TV docs Christmas with The King Family Reunion Special and The Lennon Sisters: Same Song, Separate Voices. The have produced live stage shows for Mitzi Gaynor, The Four King Cousins, Jean-Paul Vignon and consulted on many others. 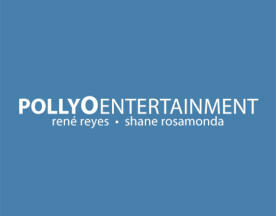 We invite you to explore the pages of this site to learn more about the diverse and creative achievements of POLLYO ENTERTAINMENT.